Have you ever had to think of something creative or out of the box and had nothing come to your mind? We all have those days where we just can’t seem to come up with the exciting and creative idea we desire. We live in a world where our calendars are overscheduled, and we are faced with an overwhelming number of images and messages. Phone calls, advertisements, Twitter notifications, you name it. It can be a lot to take in! This can mould our thoughts and ultimately how we live our lives (McCann, 2012). You can imagine how this can therefore impact our ability to look within and really tap into our own individual creative spark and original thought. Don’t fear, your creative sidekick is there, it’s just tucked away and waiting for its moment! I think to times when I am tasked with generating ideas for new and creative ways of doing something and to be honest, it can be daunting. I have discovered over time that there are actions I can take that can lead me to an inspired and enthusiastic state of mind. This not only provides me with the ability to come up with creative ideas but also gives me the energy to achieve what I need to achieve at optimum levels! If you want to come up with creative solutions to a problem or task, something as simple as mixing up your daily routine can do the trick! Psychologist Dr Simone Ritter from Radboud University Nijmegen has discovered that even just changing the way you make your sandwich can help boost levels of creativity (BBC, 2013). Work in a new location: Check out a café or park. Rather than working at your desk or from home, get out and about and be inspired by the outside world. Change your routine: Mix up your daily routine in some way or form. Whether its stopping to get a coffee from a café you have never been to or calling a friend to say hi. It is important that you don’t ‘overthink your thinking’. Whilst this sounds funny, it’s true! The less you monitor your behaviour throughout the day and open yourself up to taking risks the more likely you are to allow your mind to come up with new things. Next time you are in a meeting and something pops into your mind, don’t overthink it. If it’s potentially a solution, put it out there! It doesn’t have to be the perfect solution, it can just get your creative mind flowing along with the others in the room. A great way I have learnt to activate my ability to be creative is to generate multiple ideas rapidly in a short-time frame. These ideas will not all be the perfect solution though they will kick-start your creative mind and support you in generating more solutions and ideas. For example, when I write these blogs I often have trouble thinking of a title for each one. So, I give myself 3 minutes and I write down as many titles as I can think of (without overthinking it). At the end of the process whilst I may have some weird, wacky and unusable titles, I am left with a long list of ideas and potential titles and I can almost always come up with something from there. Everyone is at their optimum level at different times of the day. Have a think about when you feel most energetic, sharp and awake and use that time for creative tasks (DesMarais, 2013). For example, you may be someone who comes up with creative ideas and sudden epiphanies late at night. If this is the case, book out this time for ‘creative time’ and let the ideas flow! Design thinking seeks to get simple versions of an idea into the world as soon as the idea is generated (DesMarais, 2013). If you come up with a concept or idea you can begin to shape the concept by doing one or more of the following things. Draw it roughly (stick figures are acceptable!). Build: If you have some lego or clay lying around, have a go at building your concept or idea. Mood Board: You can use pictures, colours, textures… whatever you can find to begin to represent your idea or concept visually. By applying design thinking to your idea or concept, you are running your brain through a process that allows it to generate more connecting ideas. You never not what can pop into your head throughout the process! 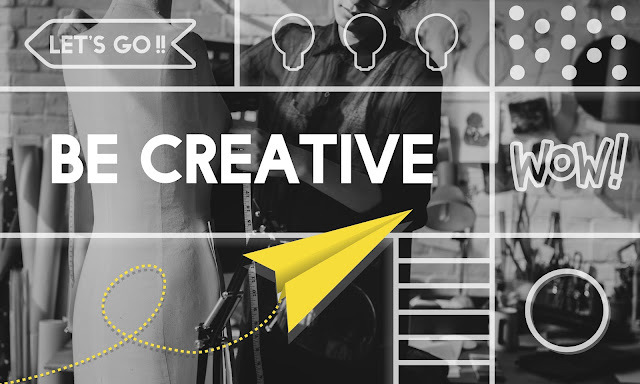 We would love to hear how you activate your creative side? Do you pop out to a café, draw some pictures or find a nice quite space on your own? There are multiple ways to activate your creative mind. It’s about figuring out what works for you and using those strategies when you need them. We hope you enjoyed this blog and look forward to sharing strategies for activating your creative mind into the future.